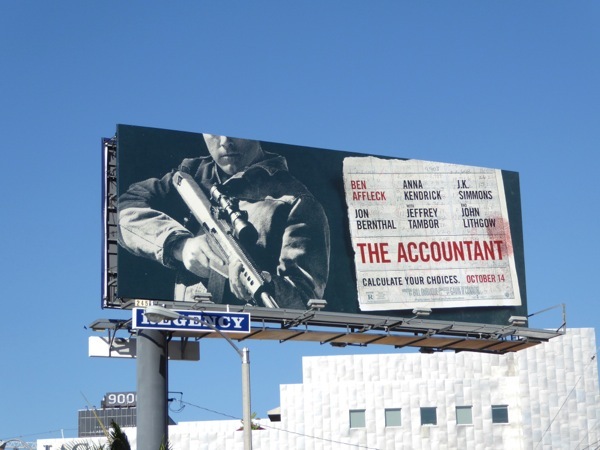 If you told someone the film title The Accountant, Daily Billboard is sure they'd think they'd be in for a dull affair. 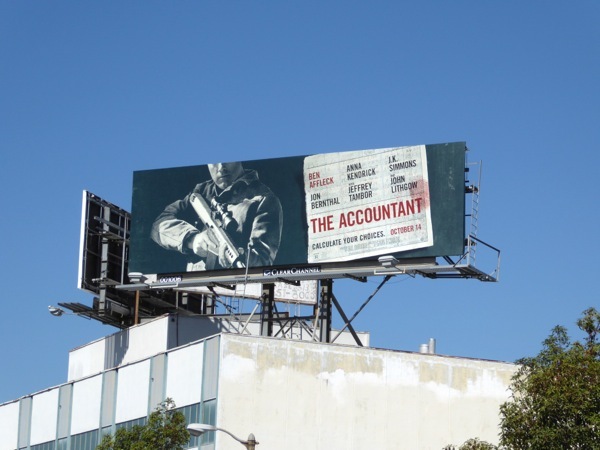 However having seen these gun-toting movie billboards, we'd suggest this is one accountant you'd never want to have red in the ledger with. 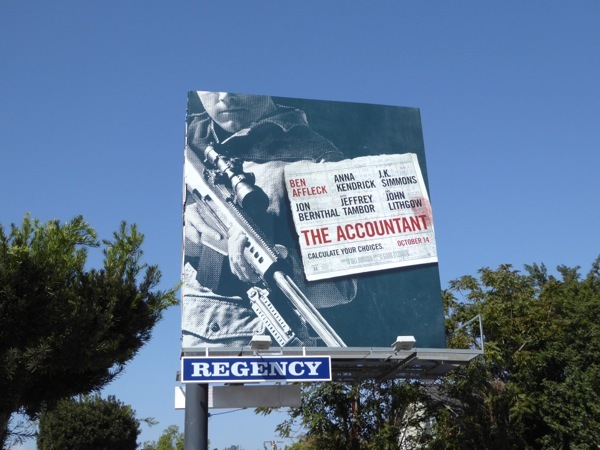 Ben Affleck stars as freelance accountant and math savant, 'Christian Wolff', who has an affinity for numbers more than people and who works for some of the world's biggest crime organisations cooking their books. Pursued by the Treasury Department, the forensic accountant takes on a legitimate job at a robotics company where an employee (Anna Kendrick) uncovers a multi-million dollar discrepancy and the body count starts to rise. 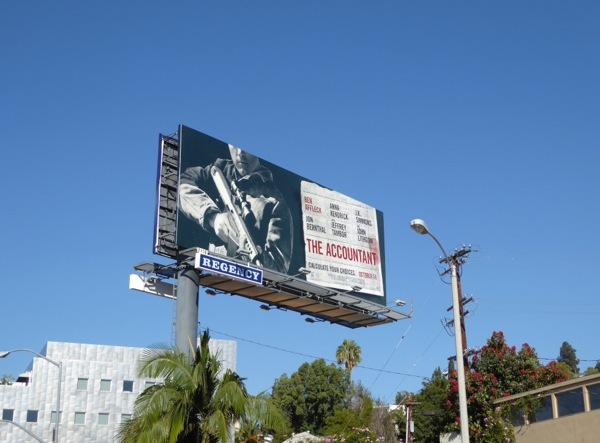 These billboards for the action thriller were first spied along West Hollywood's Sunset Strip on September 15, then later along Fairfax Avenue and above Beverly Boulevard through September 26, 2016. These ad creatives with Ben Affleck's head sliced off (he really does have one of the most recognizable chins in the business) remind Daily Billboard of the outdoor ad campaign for True Detective's second season. 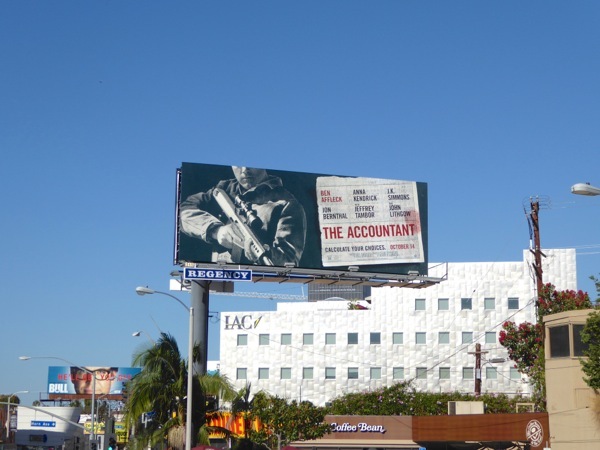 Fans of Ben Affleck can also check him out in these Batman v Superman movie billboards, these Argo film billboards and these Project Greenlight season four billboards. 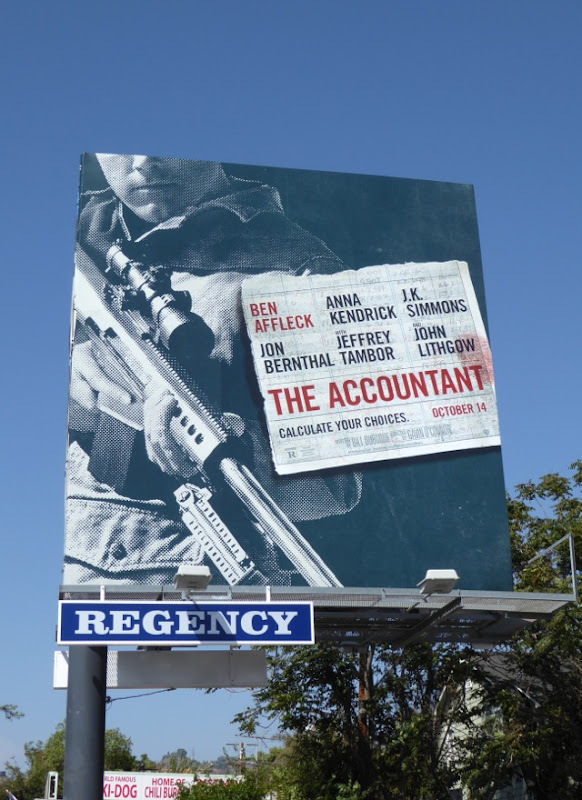 After a film called The Accountant, what do you think the odds are of a movie called The Tax Collector, or The Insurance Assessor, or The Dental Hygienist, is in the future?